Thread: does the Circuit Judge fit in this section? A little story as to how I ended up with this gun for $399.00. I had been looking at buying this gun for a while and every time I was in the local Walmart I'd swing by the gun counter and one night I bit the bullet...filled out the paperwork...the clerk went back to the storeroom to get the box but by the time he got back to the till to ring it up it was after 10 PM and store policy was no gun sales after 10. Clerk said come back tomorrow which is a 60 mile drive one way. Needless to say I was very disappointed and did not return. Just so happens the wife and I were on a trip to the Sturgis Bike Rally several weeks later and stopped in at a Walmart along the way. You guessed it I went to the gun section and they had the Circuit Judge on sale for $399.00 marked down from $545.00...the gun guy said Walmart was closing them out. I should add this was in August 2015. Nice pickup, and story. Let us know how it shoots. 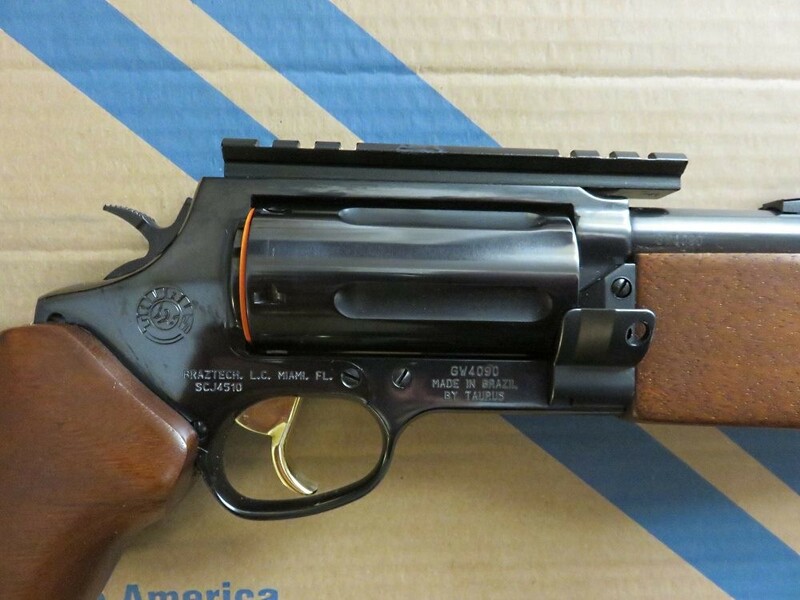 Does Taurus offer any factory wood grips that will fit a Taurus Judge Magnum 4510? Anybody put a Judge pistol grip on a Circuit Judge?